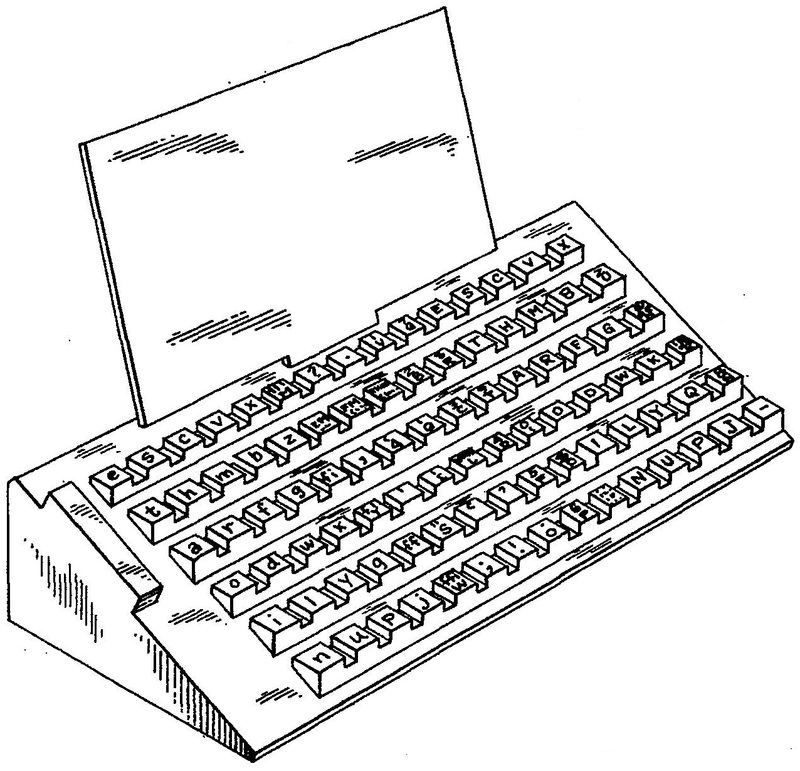 Practice typewriter keyboards seem like a good idea, especially to a two-fingered typist such as myself. 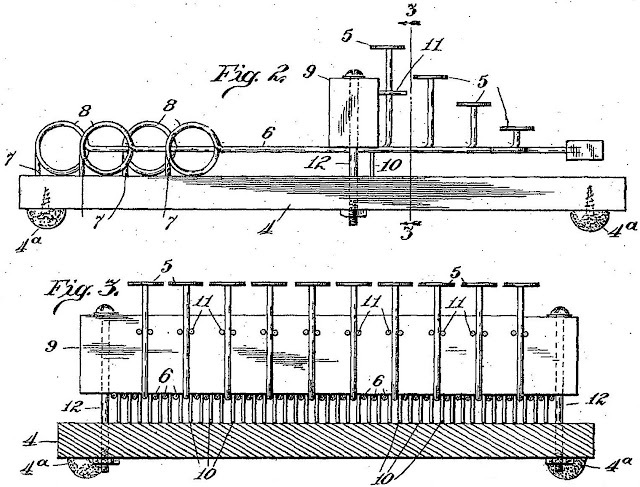 On this day (December 7) in 1915, William Perry Cosper, of Chicago, patented just such a thing. 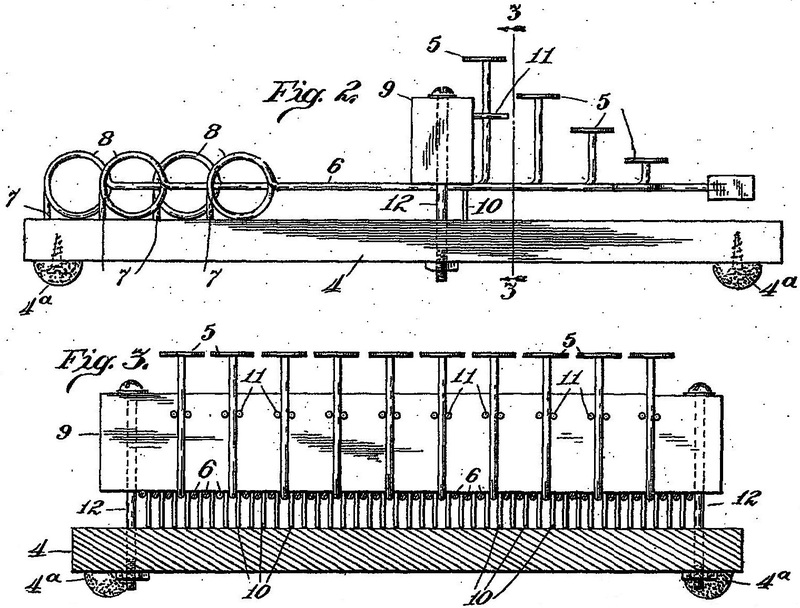 Cosper, born in Carson City on August 12, 1866, was an inventor employed by a railroad supply company. He died in Chicago on January 25, 1952. 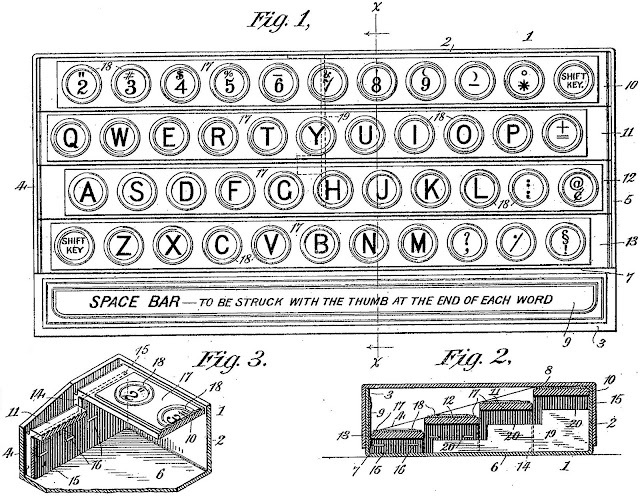 Two further US efforts were made to produce practice typewriter keyboards, the first in 1942 by Atlanta-born Amy Emanuel (1892-), an Asheville, North Carolina, court stenographer, and the second in 1948 by Edgar T.Lugar (1912-1966), a Berkeley, California, compositor and printer. 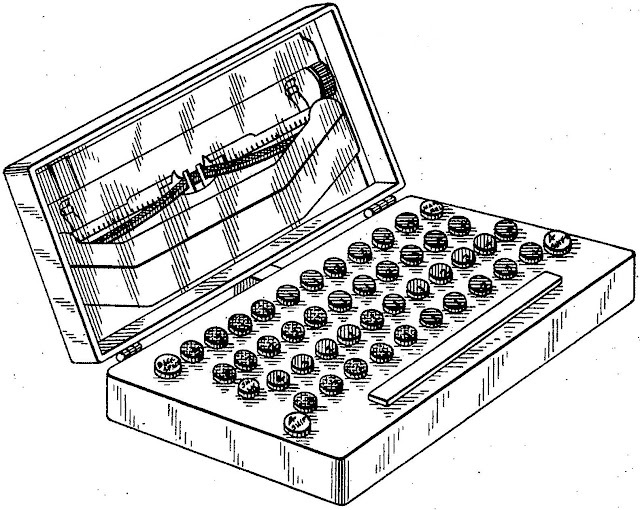 Interestingly, the first such device, in 1896, was designed by an Englishman, John Stevenson Rhodes, of Birmingham, for Wyckoff, Seamans & Benedict, the makers and marketers of Remington typewriters. Another Englishman, Henry Herbert Yelf, of Southsea, patented a similar design in the US in 1923. 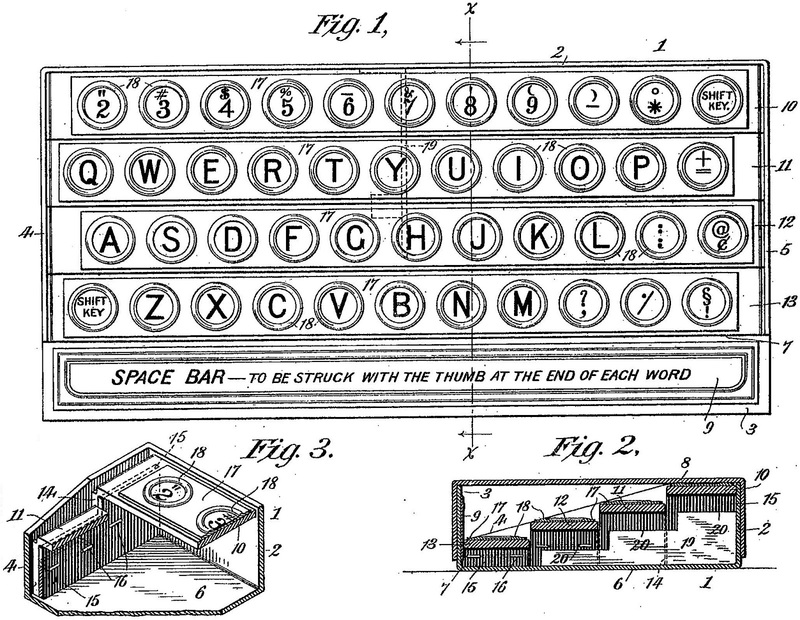 He called it an "instructional dummy practice-keyboard apparatus", which just about says it all.